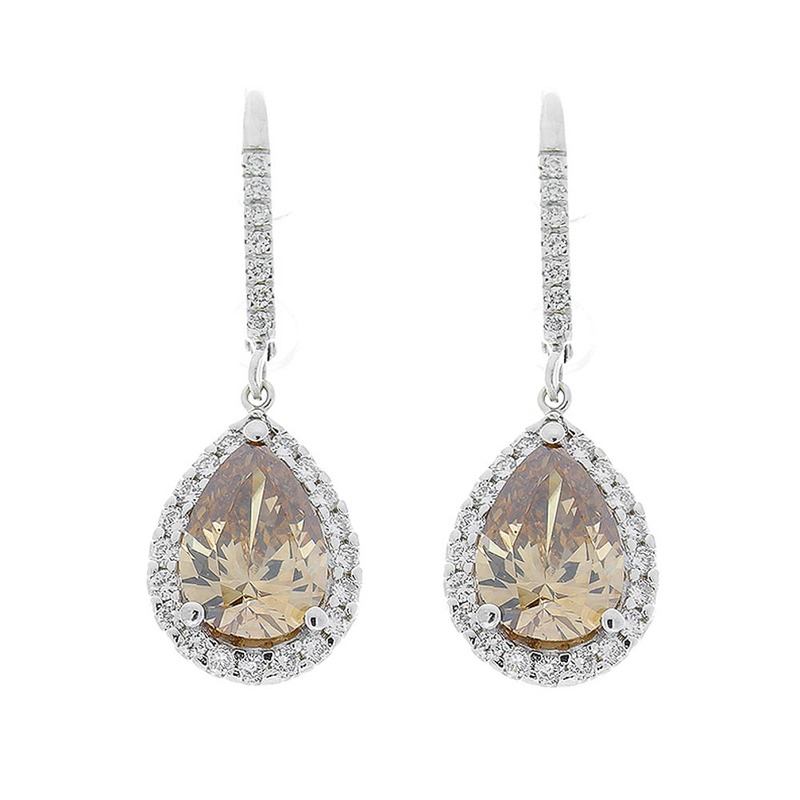 These dangle drop earrings feature two prong set pear-shaped natural fancy brown diamonds totaling 4.00 carats. These colored diamonds are natural. A total of 56 scintillating round brilliant cut white diamonds frame each fancy brown diamond and on the tops of each earring totaling 0.75 carats. Created in brightly polished 18 K white gold, these design-forward earrings are a great example of how the brown and white contrast should look.